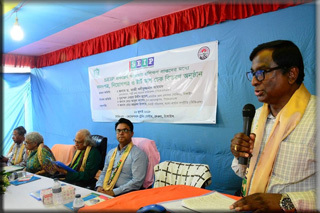 Bangla-German Sampriti (BGS), a training institute working with the SEIP project of Palli Karma-Sahayak Foundation (PKSF), organized a training completion ceremony at its Vocational Training Centre (VTC) in Tangail on 16 July 2018. 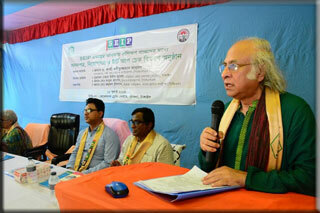 Eminent economist Dr Qazi Kholiquzzaman Ahmad, also the Chairman of PKSF, was the Chief Guest at the ceremony. 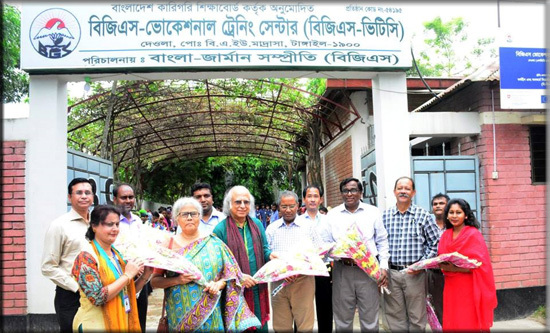 Mr Muhammad Nesar Uddin Jewel, Additional Deputy Commissioner of Tangail, Mr Md Abul Kashem, Deputy General Manager of PKSF, and Mr Md Abdul Hamid, Deputy Director at the Tangail office of the Department of Social Welfare, were present there as Special Guests at the event chaired by Mr Md Jahurul Islam, Executive Director of BGS. Dr Qazi Kholiquzzaman Ahmad handed over cheques of start-up capital, amounting to BDT 3,00,000, among four female and one male program participants who successfully completed the training and now wish to start their own enterprises. A total of 75 youths participated in the training on different trades in three batches and 56 of them received recruitment letters from various business entities — including Pran-RFL, Energypac, MyOne-Minister, and Standard Group — during the ceremony. Besides, all the participants received training completion certificates. 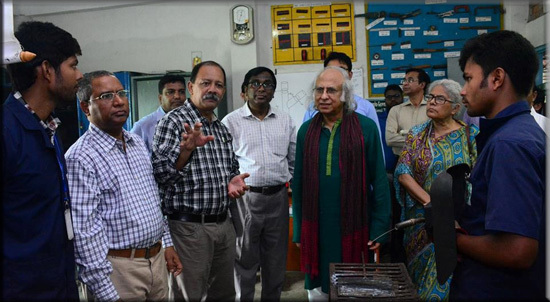 Also during his BGS visit, Dr Qazi Kholiquzzaman Ahmad inspected the training classes at the VTC and talked to the trainees, who expressed their gratitude to the PKSF Chairman and said this visit was very inspirational for them.